Forget the dress. Forget the shoe. Forget that damn picture that looks like both Tom Hanks and Bill Murray. Today, we can present an optical illusion that doesn’t attempt to divide the internet into warring factions but rather gets back to the true intended purpose of optical illusions: That is, to make you feel all high and tripped out, man. Now, if you’ll be so kind, please stare at this blurry collection of color blobs, try not to move your eyes, and watch as the image fades from existence.  Though versions of this illusion have been around for centuries, this particular image made the rounds recently on the r/woahdude community on Reddit and had everybody going, like, “Woah!” and “Dude!” The Verge spoke to psychology professor Derek Arnold about this phenomenon and learned that the colors disappear from your peripheral vision “because the brain stops paying attention to visual scenes that don’t change.” Susana Martinez-Conde, author of Champions Of Illusion, compared it to how we don’t feel our socks on our feet throughout the day because our brains have begun to ignore the constant stimulation. That is, until we read an article that mentions how we can’t feel our socks and then all we can think about is the fact that we have socks on.